Countersink feature allows flush fitting to plasterboard. 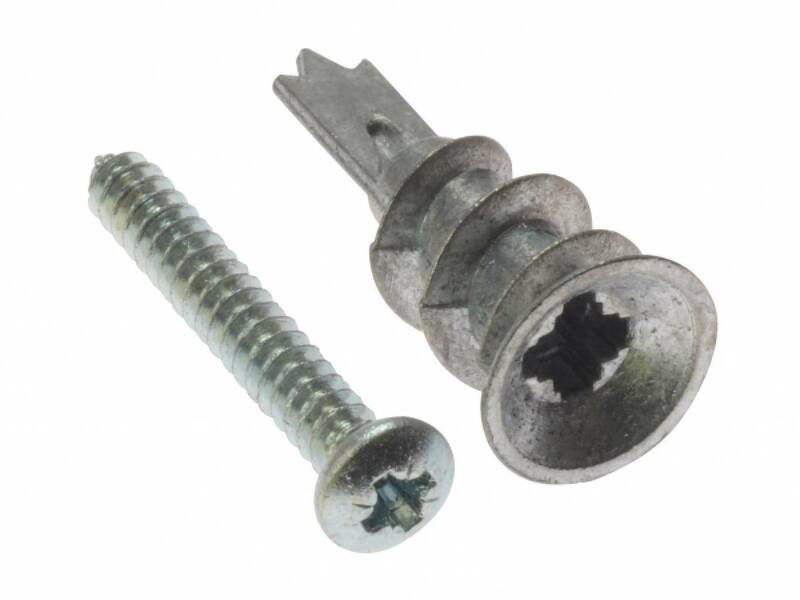 New design flange on screw head acts as a fixed washer distributing the load. 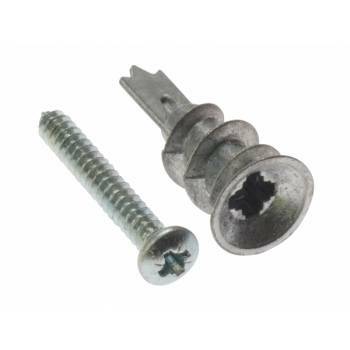 Alternative screws can be used if required. 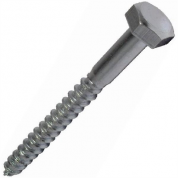 Suitable for use in most types of hollow walls and plasterboard.